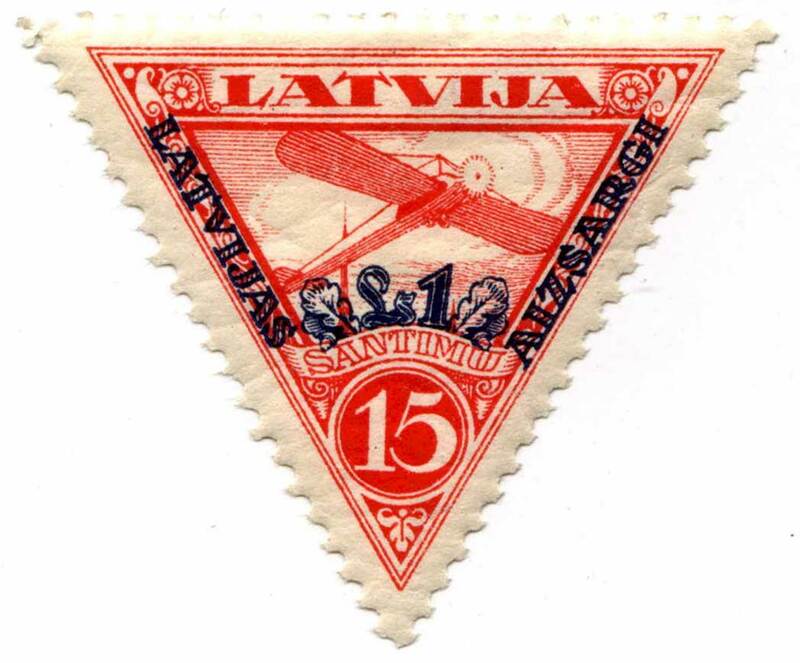 On December 3rd, 1931 the Government Printing Office delivered to the Riga Main Post Office 15,000 sets each of perforated and imperforated convention design airmail stamps with overprint LATVIJAS AIZSARGI and the selling price, which was up to 660% of the franking value. 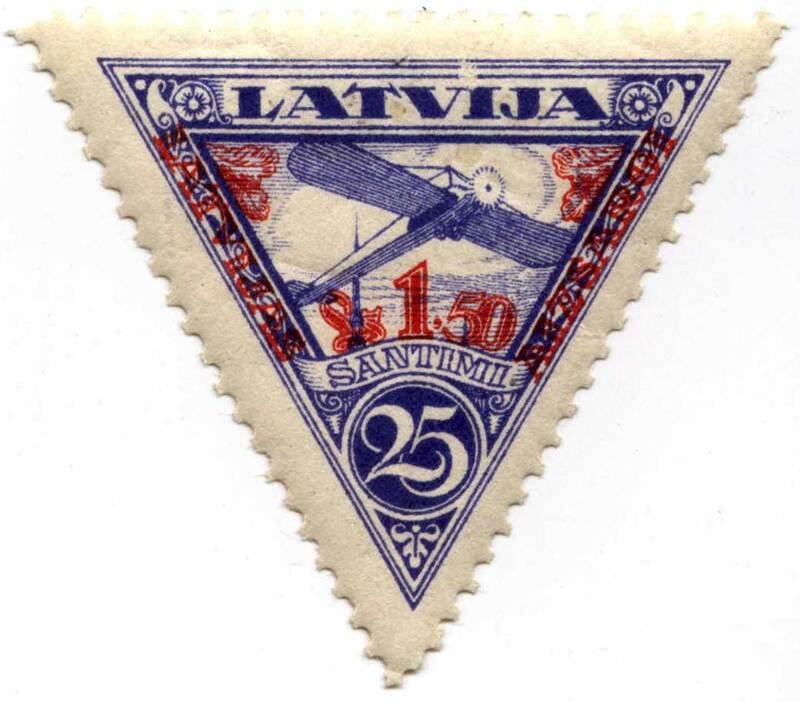 The design and the color were very similar for the well known triangular airmail stamps, and the differences were hardly noticeable. 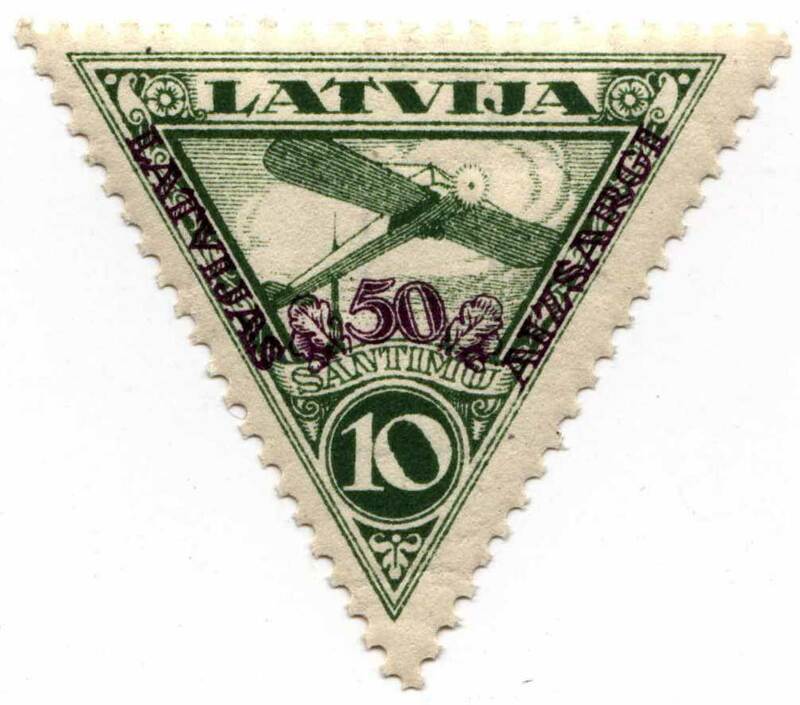 Forgeries of these stamps appeared, whereby either the overprint was forged of the entire stamp and overprint. On December 5th, 1933 the Government Printing Office informed the Postal Administration that it still had in stock a total of 116 sheets of the 6 varieties.